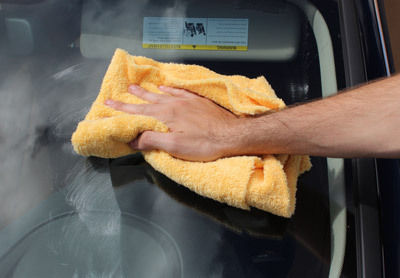 Wolfgang Perfekt Vision Glass Polish polishes and restores auto glass windshields and windows. Home > Shop By Brand > Wolfgang Concours-Series Car Care > Wolfgang Perfekt Vision Glass Polish Free Bonus! For a limited time only, receive a Speed Master Premium Glass Towel FREE with your purchase! Wolfgang Perfekt Vision Glass Polish 64 oz. I was skeptical when I ordered this, but it IMPRESSED the heck outta me how well it cleaned 20 years of acid rain off my Grand Cherokee's windows. this made an already pretty clear windows look even better. Consnow I can see the small chips. Used white pad, took my time and windshield came out great. 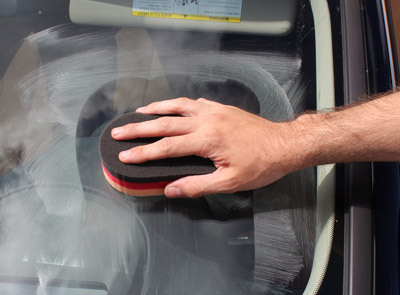 Takes away the grime that glass cleaner can't get. Easy to apply and comes off with a little buff. I thought it might scratch glass but it only buffs off with an excellent result leaving a super clean glass ready for sealer. I used a polisher on my windshield and polished it twice. Still had some areas that weren't perfectly clear. This was on a two year old car that has been garaged. It gets most of the stuff off the glass. Could be I needed to use a more aggressive pad with it. This is easy to use and did a nice job. It just didn't remove everything I expected it to.